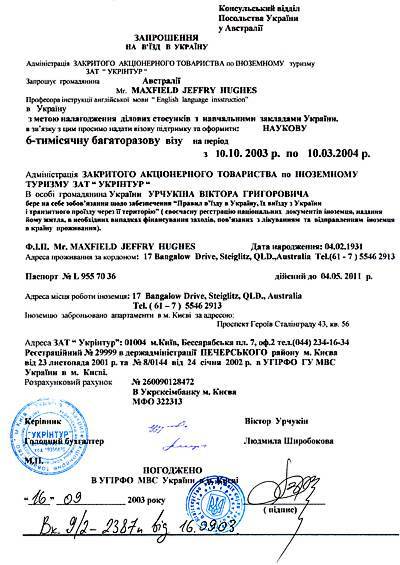 Example of invitation letter: Business visa for Ukraine. Invitation letter for business visa. Looking for business invitation letter to get business visa? Here is information how to get Invitation letter for Ukrainian business visa.